It’s time to face some truths. Living in the Las Vegas Valley doesn’t always mean gambling, exciting night life or even four season weather; it’s a desert. Not only do local residents have to deal with scorching, dry summers, but Las Vegans also have to accept living in a dust bowl. Living in a place like Las Vegas basically indicates that after spending hours of your day dusting, vacuuming, sweeping and mopping, that within 15 minutes of enjoying the fresh clean environment; dust has already settled and you have yet another layer of dust to remove. So imagine the places in your home that you don’t see! 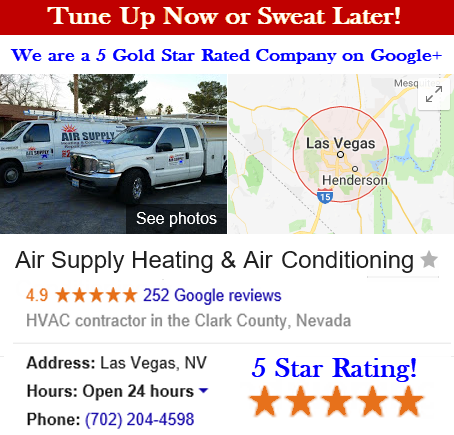 Your Las Vegas Air Ducts Need Cleaning! Your air ducts not only provide your home with sufficient, temperature controlled air flow, but within that air flow are contaminants. Dust, pet dander, pet fur or hair, human hair and skin, pollen, and other pollutants are all traveling within that air circulation. After time, buildup occurs, which is why air filters need cleaning. But the pollutants that doesn’t reach your air filter are massing up inside those air ducts. Unless you’ve got the time, equipment and know how; you need the professionals at Air Supply Heating and Air Conditioning on your side to get those air ducts clean. It doesn’t matter if you’re a homeowner or have your own business; air ducts need a littler tender love and care from time to time. Our team of specialists come equipped the necessary tools and equipment. Generally speaking, our technicians will take special vacuum hoses and brushes to give your air ducts a meticulous cleaning. They are flexible and can make turns with ease to ensure everything is cleaned. In unique air duct work cases, other techniques are performed. Getting your ducts cleared and cleaned out can help prevent mold breakouts, reduce allergy contagions, and in many professionals opinions, increase energy efficiency. Not only can getting your air ducts cleaned out make a difference in the air quality, but installing UV Lights can benefit you so much more. People readily accept that UV lights are useful in the medical field, food industries and even in water purification systems, but what many do not know, is the effectiveness that UV lights can have in your HVAC system. Having UV lights installed can reduce bacteria and even mold. With two primary UV light installations, the bacteria and mold won’t stand a chance. This is highly beneficial to those with respiratory issues and severe allergy complications. Coil Sterilization utilizes the UV lights in the return air duct that sterilizes the air handler coil. The second installation method is the Air Sterilization which uses the UV lights as a unit to sterilize the air as it flows through the ducts. Installed in the return air duct, the UV lights sterilize the air which then cycles through air handler blower. To complete the most superior air duct system, invest in Lifetime Warranty Electrostatic Reusable Filters. These filters are a perfect finishing touch to your air duct system. They have a resistance efficiency at 100% effectiveness; preventing pet dander, pollen, dust mites, mold and plant spores. The number one choice to control and collect 97% of dust and 95% of all bacteria. With these advantages, allergy sufferers and those with respiratory issues are relieved of most related attacks. They are for permanent use and easy to clean with simple washing instructions. 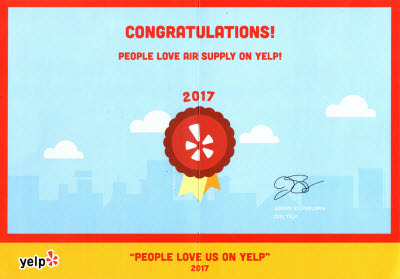 Not only do you have the best possible filters for your home or business, but they are backed with a life time warranty. 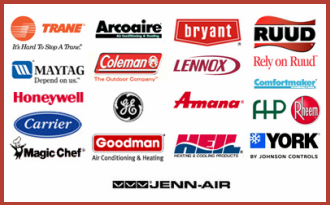 If you have any questions or concerns, or wish to alleviate asthma and respiratory illnesses, call Air Supply Heating and Air Conditioning today to aid in your quest for optimal air flow and quality. Our experts are masterfully trained. 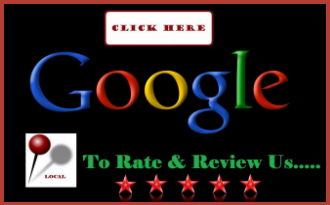 We are licensed, insured and bonded with a reputation you can trust!